All current participants in the Book Blogger Buddy System (#BBBSys) have now been e-mailed their match details! If you know you signed up and haven’t received an e-mail by Wednesday, October 31, please check your bulk-e-mail and spam folders, and then follow up with me with a tweet to @florinda_3rs or an e-mail at 3.rsblog AT Gmail DOT com. This round of sign-ups closed on October 12, but barring disaster, we’ll open up #BBBSys again in April 2013. As you might imagine, it took the better part of a couple of days to pair up Book Blogger Buddies, and at just under 50 participants, the pool was relatively small. I took two runs at the list, and although I didn’t keep a tally, I think I moved at least a third of the participants around to new matches on the second pass. I considered stated match preferences concerning level of blogging experience, blogging platform, and content, but couldn’t give all preferences equal weight. The easiest matches may have been those who only had preferences in one of those areas–and matching those with no expressed preferences was harder than you might think! Some matches seemed to fall into place readily, and several pairings made me especially happy. In a few other cases, I’m still a little unsure about the match, but keeping my fingers crossed! I had mentioned in an earlier post that I was a bit surprised by how many of the #BBBSys participants self-identified as book-blogging “elders,” but that maybe I shouldn’t have been. As an “elder” myself, I probably also shouldn’t have been surprised that well over half of the bloggers who signed up are people that I already know–mostly through their blogs and social media, of course, but there are several that I’ve met personally. 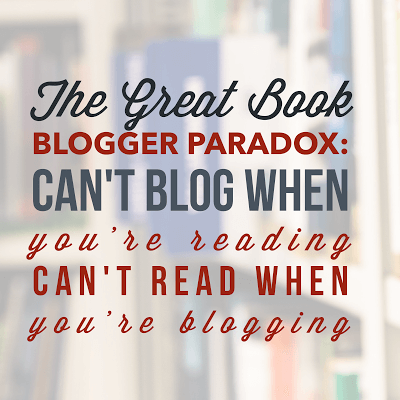 However, I was a bit surprised by that–I’m often surprised to realize just how many bloggers I’ve encountered over five and a half years of this! And it added some wrinkles to the matching process, because I know who I know, but don’t always know who other people know. In order to make the mixes more interesting, I made a deliberate effort to avoid matching bloggers whom I know are friendly with each other. but the biggest source of anxiety in the entire exercise was that I might match two bloggers who already know and DO NOT like each other. It may have happened. If it did, I’m sorry–but I didn’t know, and if we get to do this again, I’ll try to do better by you! If we do this again in 2013 and have more sign-ups–which is possible, if the first group is largely happy with their experience and helps get the word out–the match process may have to run a little differently. I don’t feel that I can thoughtfully consider and manage the connection process among a larger group all by myself. I’ll either have to ask for a few people (probably from among the current group) to help me review the form data, or set up some kind of random exchange system. That could work, but at this point it’s not my vision for #BBBSys. We’ll see how things go. Book Blogger Buddy System participants are not required to blog about their experience, but if you have any thoughts or feedback to share with me during the next few months, please e-mail me at 3.rsblog AT Gmail DOT com. GIVEAWAY: Celebrate TO KILL A MOCKINGBIRD’s 50th Anniversary at a Movie Theater Near You! Status Report: Book Blogger Buddy System Matchmaking in Progress! 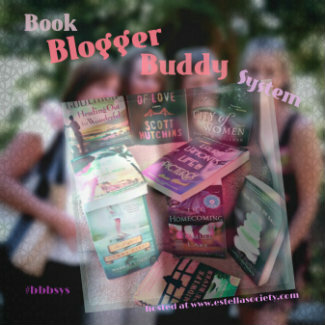 Connect With the Book Blogger Buddy System!